Where’d You Go, Bernadette by Maria Semple is a novel detailing the disappearance of Bernadette Fox. It is told through a series of notes, emails and memories. The book is very interesting, and has very biting, witty language. The format with the emails and such put me off a little bit at first, but I got used to it, and eventually came to like it. This is a very quick read. I loved that each character is very distinct, and has a very thought out personality. I loved that there were a lot of tiny plot lines in this book. If you weren't paying attention, you might not catch them!! Some of the little things like what happened to Kyle Griffin, and how obnoxious Ollie O. was really made me smile. I also really enjoyed the relationship between Bernadette and Bee. Sure, it had faults, but it was nice to see a mother daughter relationship that was based on love, and not one trying to fix the other. Bernadette and Bee just loved each other for who they were. 1. How are Audrey Griffin and Bernadette Fox more alike than they realize? Audrey Griffin and Bernadette Fox are cut from the same cloth. They both are ferocious in their belief systems, even though those beliefs are a little bit different. Audrey pays immaculate care to her home and yard, where Bernadette purposefully neglects hers. Audrey is super involved at Galer Street School, where Bernadette doesn't want to be on the email list and calls those involved "gnats." Though they appear different at first, it is their passion and determination that is part of their personality that makes them alike. 2. Where’d You Go, Bernadette is, at its core, a story about a woman who disappears, both literally and figuratively. Do you feel Bernadette’s disappearance was unique, or do all women, in a sense, disappear into motherhood and marriage? This is a really hard topic for me to speak on, because I have never been married, and I am not a mother. Do I think those change you? Yes. But I also think that a lot of other things in life change you too. I think that Bernadette's story is a little bit unique. Her situation as an architect is unique. Her situation with multiple miscarriages is unique. Bee's childhood illness is unique. So I wouldn't necessarily say that Bernadette disappeared into motherhood and marriage, but that she experienced a lot, and probably didn't get the help she needed. When she started to realize that Elgin was having an affair with his Admin, it was too much for her. 3. Bernadette often behaves as if she is an outsider. Do you think she is? If so, do you think her feelings of being an outsider are self-imposed, or is she truly different from the other members of her community? I think it's a little bit of both. As I mentioned before, Bernadette experienced a lot during her life, which probably made her feel isolated. She also had an entire life before she moved to Seattle, which is extremely tight-knit. She is sort of set in her ways about some things that are different than life in Seattle. She mentions at one point that people rarely color their hair. However, she doesn't make any effort to join the community either. She doesn't interact with the other parents at Galer Street School, their house is very isolated, and Bernadette has an air about her that she is "better" than the rest of the community. 4. 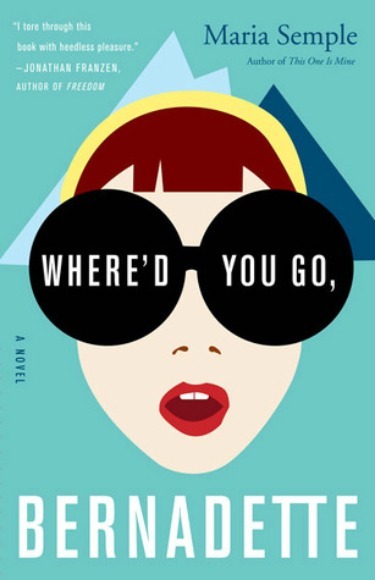 Where’d You Go, Bernadette is told from the point of view of a daughter trying to find her missing mother. 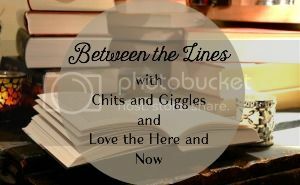 Why do you think the author chose to tell the story from Bee’s perspective? What light does it shed on the bond between Bernadette and Bee? I think Maria Semple chose to tell the story from Bee's point of view, because it shows the intense bond between Bernadette and Bee. Throughout the book you can see different examples of their different relationship. Bernadette takes care of Bee when she is sick in the hospital when she is young. Bernadette is one of the girls on Kennedy's birthday. They are best friends when they sing the Beatles in the car. Bee fiercely sticks up for Bernadette to Audrey Griffin. The bond between Bernadette and Bee is more than just mother and daughter. It is very evident that Bee is lost when Bernadette leaves. Bee is obsessed with finding out where her mother went, and when she finds her, you can almost feel that everything is all right for her again. That is such a great point about Bee. I had forgotten about Bee failing out at school and having to come home until you mentioned that she was lost without Bernadette. That is so interesting! I totally forgot about that part. I loved this book! I have wanted to pick this up several times at the book store but didn't know if I'd like it. I need a light, summer read so it's next on my list! I keep seeing this and now I definitely want to read it. Got a new kindle yesterday and I'm excited to fill it up! Go for it girl! This is a good one! This is a good one for a summer read. Definitely lighter than a lot of the other stuff I've been reading lately. I feel like they were so connected! When Bernadette left their equilibrium was messed up. This was such a good spring into summer book. Thanks for hosting!